Einstein thought that the world is a dangerous place to live in, not because of the people who are evil, but because the people does not tackle the problems. Since we cannot solve the problems using the same methods that we used to create them, we need to think out of the box. As scientists we are obligated to consider more than a diseased organ, more than even the whole man. We must view the man in his world. I am committed to help understand the pathogenesis of viral diseases. I know it is a long way to go for certain diseases like AIDS, but The difference between the impossible and the possible lies in a man’s determination. 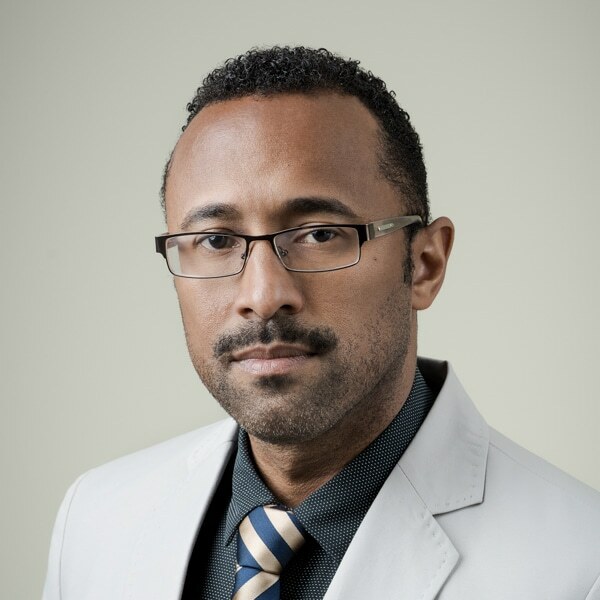 Dr. Byron Martina is head of the Department of Virology of Curacao Biomedical & Health Research Institute. Byron Martina studied Biomedical Sciences and graduated as a Master in Infection and Immunity at De Montfort University in Leicester (UK) in 1998. Then he joined the Department of Virology at Erasmus Medical Center in Rotterdam (NL), to obtain his PhD degree in 2003. During this period he worked on the pathogenesis of gamma-herpesvirus induced carcinoma as well as the development and testing of vaccine candidates against alpha-herpesviruses. He subsequently joined the “Emerging Viruses” team of the same department where he worked on the pathogenesis of SARS-Coronavirus. Since 2008 he is team leader of the group “exotic viruses” of the Erasmus Medical Center Rotterdam and Chief Scientific Officer of Artemis One Health Research Foundation in Utrecht. The focus of his group is to study pathogenesis of several virus infections, including Dengue, Hanta, West Nile, Chikungunya, Rabies, Influenza, Mers-Coronanvirus and Enterovirus-71 infections. The knowledge acquired by the investigations performed by his group is used to develop intervention strategies against these viruses. His group in Rotterdam and Utrecht focus on studies in human cohorts as well as more fundamental studies in vitro and in animal models. He is also responsible for development, validation and execution of diagnostics for the WHO Collaborating Centre for Arboviruses and Hemorrhagic Fevers Reference and Research, Rotterdam, The Netherlands. He is a member of the Dutch outbreak team and the global One Health Platform. He was involved in several big EU funded projects with the goal of understanding pathogenesis and developing intervention strategies.